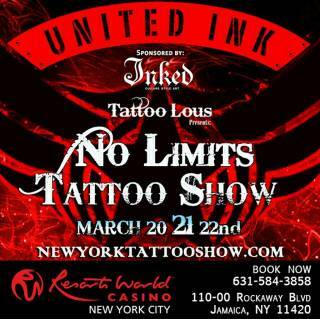 United Ink: No Limits RETURNS in 2018 on April 20, 21 and 22 to Resorts World Casino New York City for a weekend of LIVE tattooing by renowned artists from around the globe, entertainment, nightlife, and fun for everyone that's 18 and up! ARTISTS & VENDORS: Want to join us? Use the link below for the application and vetting process. You will receive a confirmatione mail once approved, or if you already have an account in good standing, the process will be streamlined! 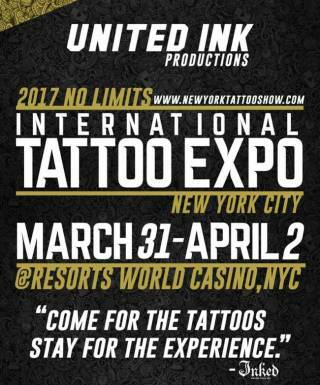 30% deposits being accepted to lock in booths until 12/31/17! Seminars: SPACE IS LIMITED PER CLASS! 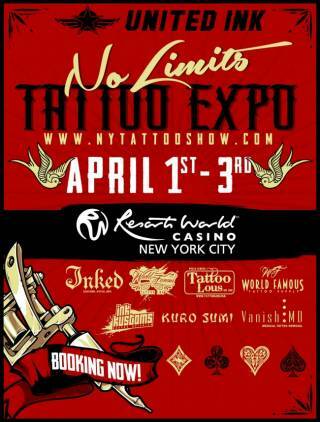 Thom Bulman: "From Cartoons to Tattoos- How to be a Tattoonist!" register at bit.ly/bulman2018.